The summer season is perfect to launch a small gathering with family and friends. It enables you to enjoy the quality time. It will be great if you have GHP outdoor garden patio to accompany people during the small celebration. This outdoor furniture pieces are excellent to have and increase the lifestyle of the occupants at home. It consists of a long sofa, two chairs and a coffee table. You can sit here for longer hours while enjoying the beauty of the garden because of the amazing comfort of the furniture. 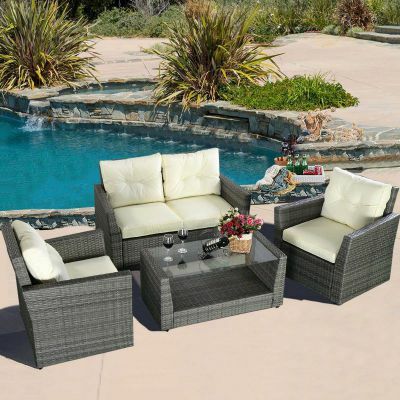 Moreover, this patio set looks beautiful to place in the garden, decking area and nearby the swimming pool. GHP outdoor garden patio is sold in various stores town. 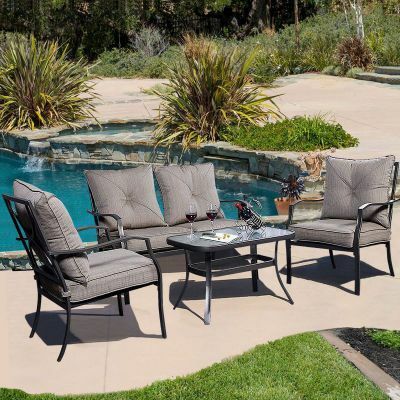 If you are interested to get this patio set, prepare the enough cash. It comes in a four-piece cushioned seat. Even though it is cheap enough for a patio set, the design, construction, color and style of this patio look expensive and stylish. It can increase the value of the modern home. Don’t forget to match it with the decorative and fluffy cushions covers and toss pillows. The construction is strong because it has the steel frame. 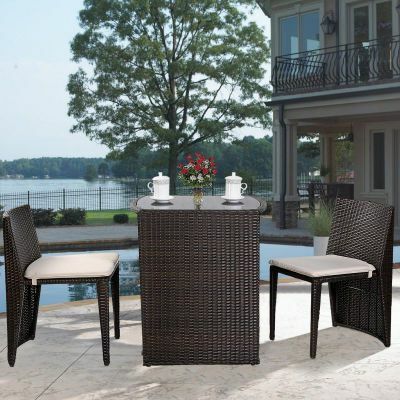 The outer part of the patio set is created from rattan wicker material. It looks nice to evoke the beauty of the tropical garden because of the unique texture of rattan. 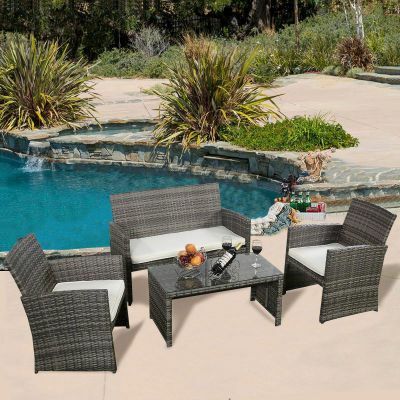 This patio set is a great choice for decorating the garden, poolside, deck, porch and patio. The customers can enjoy the comfortable seat because the sofa and chairs can be fitted with removable cushions. If the cushions are dirty and stained, you can remove the covers and clean them easily. If you buy the piece, you have to do assembly at home. The hardware parts are included in the box. The coffee table is chic and strong. At the top part of the table, you can spot the tempered glass which can evoke the modern look. There are various colors available for GHP outdoor garden patio. Choose the gray one if you want to build the contemporary style in the outdoor garden. It can be matched with beige polyester fabric cushions. 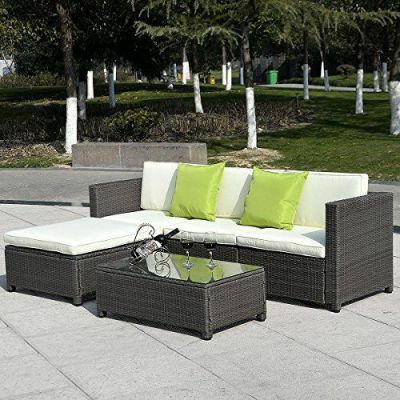 The single sofa included in this patio set has the dimension at 23.23 × 25.20 × 31 inches. It also features the double sofa with the dimension at 43.30 × 25.20 × 31 inches. The coffee table in rectangular shape has the dimension at 35 × 18.11 × 17.32 inches. Check the dimension, price and design carefully before you buy GHP outdoor garden patio. Make sure that it fits the available space in the backyard.